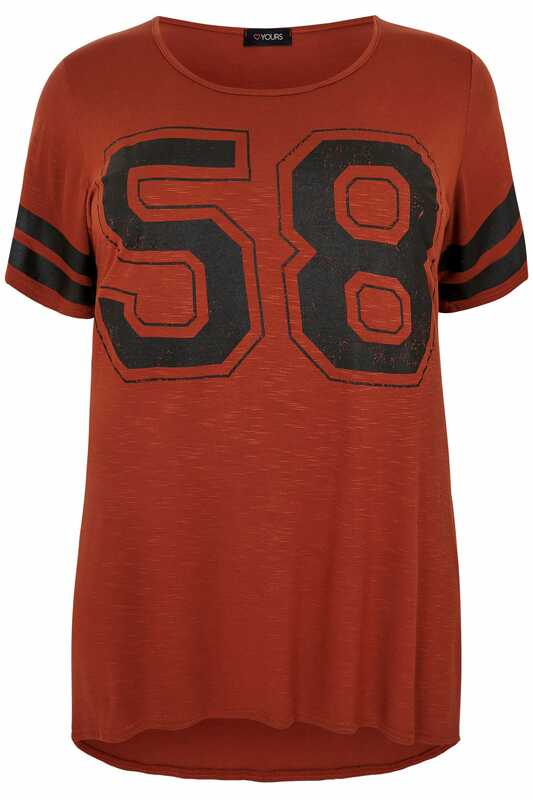 This relaxed varsity style t-shirt is an off-duty must-have. Made from a super stretchy fabric for a comfortable fit, it features a simple scooped neckline and short sleeves. Team with ripped denim and trainers for an effortlessly stylish go-to look. We love the tops casual varsity athleisure vibe.